New Brunswick, NJ based alternative rockers Lost Romance have been chosen among hundreds of bands to compete in this year’s Hard Rock Rising band competition sponsored by Hard Rock Cafe. 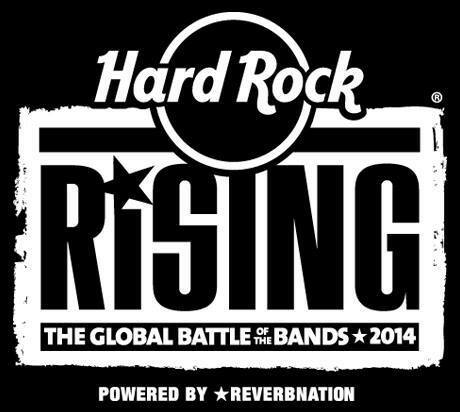 Hard Rock Rising is a global band competition that takes place in cities all across the world at Hard Rock Cafe locations. The winner of each city location competition will then go on to compete for a chance to play in front of 40,000 people at a festival in Rome, Italy. ONLINE VOTING begins Monday, February 3rd, 2014 at the Hard Rock Cafe New York’s Facebook page and will go for 2 weeks. Voters will be able to listen and download a song by the New York contestants and then vote for which song they like best. The winner of the online voting portion will be one of 3 bands competing for the New York location title in a live show battle in Times Square. **EXTRA POINTS! – If you happen to be in the NYC area and stop by the Hard Rock Cafe location and check-in with your smartphone via Foursquare, Lost Romance will get TRIPLE the online points for your vote.